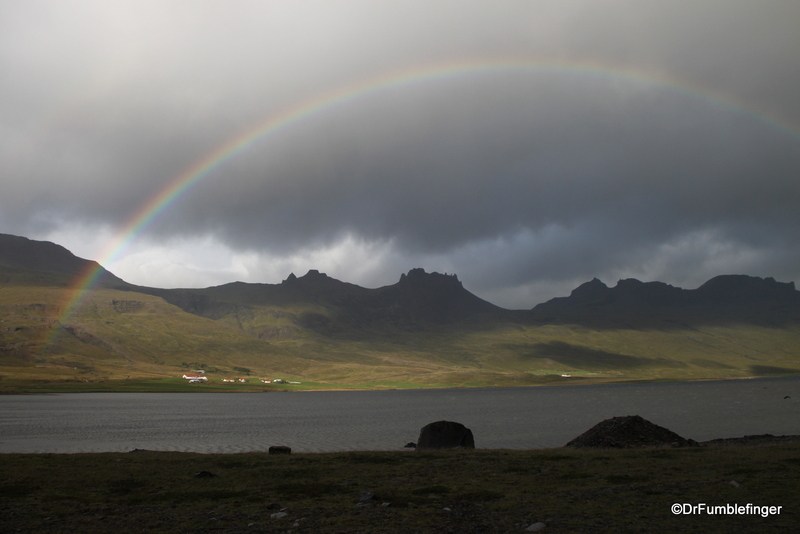 One of my most vivid memories of traveling around Iceland is of the many scattered showers — followed by glorious rainbows! You’d sometimes see dozens of them in a single day. The only other place I’ve ever been where I saw so many rainbows was on Maui. This week I thought I’d share some of these rainbows with you. 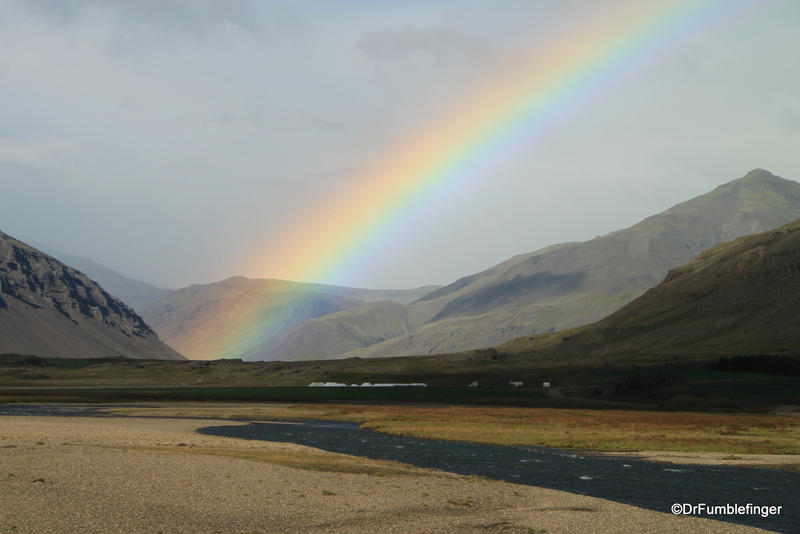 The most interesting and diverse day-trip from Reykjavik is to Iceland’s “Golden Circle“. I’m not certain where the name “Golden Circle” originated, but it is a golden travel opportunity. During this excursion you have a chance to see Iceland’s largest lake and explore the historic site of its first parliament (situated in no less than a rift valley). You’ll visit one of the world’s few sites of geysir eruption, and an amazing waterfall. By any standards, that’s a pretty good list of attractions to see in one day’s travel. The last full day of our Icelandic trip was spent off the Ring Road in West Iceland on the charming Snaefellsnes Peninsula. Anyone who is a fan of SciFi will remember this as the place Jules Verne’s Professor begins his Journey to the Center of the Earth (which was reached from the volcano via a series of lava tubes). The lovely conical Snaefellsjokull volcano, located on the western end of this peninsula, was the center point of Verne’s story. 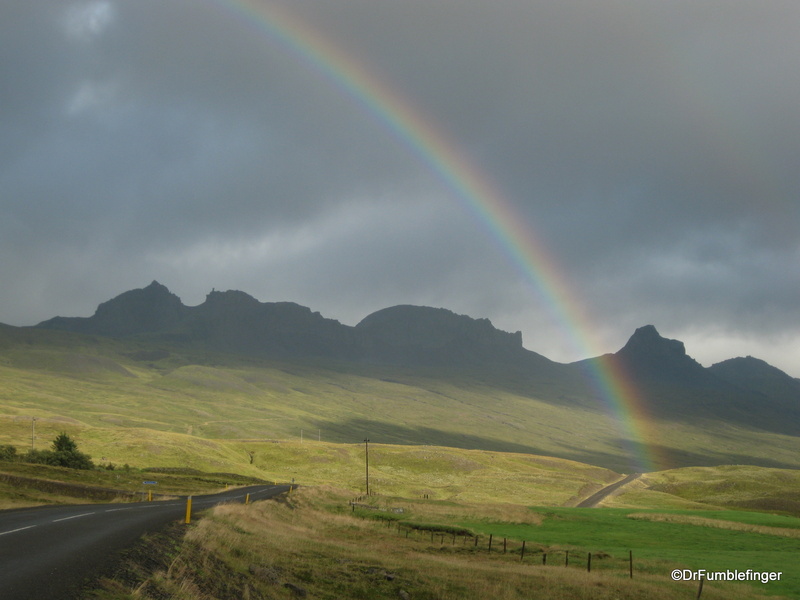 Many think South Iceland offers the island’s most spectacular scenery. It’s hard to argue with this except to say that we found all of Iceland to be filled with beautiful landscapes. 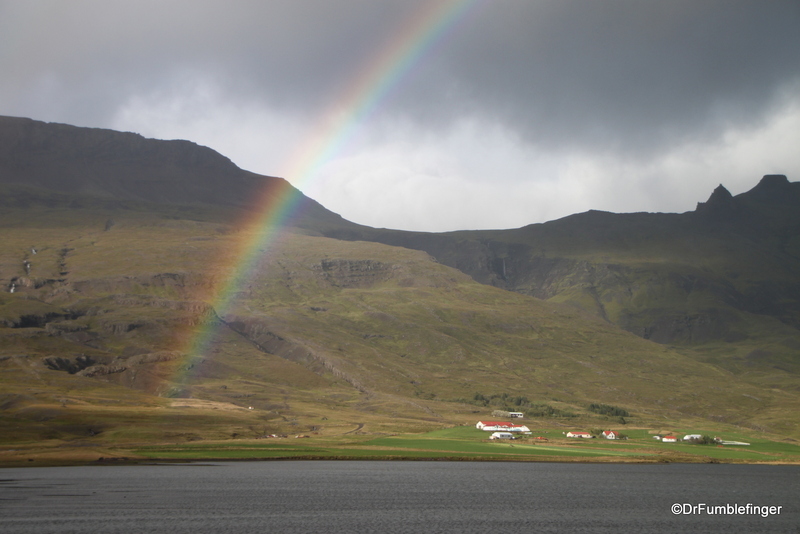 South Iceland is remarkable for pretty farms in its western portion, rugged mountains, beautiful waterfalls, and the close proximity of several large glaciers (and a memorable glacial lagoon) in its eastern portion, all of which are easily accessible. Like the entire island, South Iceland offers a dramatic representation of the island’s volcanic history. The most popular day trip from Reykjavik is to the “Golden Circle” — three beautiful natural attractions which aren’t golden or even vaguely circular. The first of these is located about a one hour drive from the capitol, the farthest at least another hour further. All three sites are well worth seeing.